beautiful time in your life, but it can also be a time fraught with worry, discomfort, and even pain. Pre-pregnancy, you might have soaked away even the most minor aches in a hot tub, but now that you’re expecting, you wonder if doing so is such a good idea. Chances are you’ve heard mixed advice about using a hot tub while pregnant. To help clarify the issue, we’ve done the research for you, helping you get to the bottom of that critical question: Can you go in a hot tub while pregnant? If you ask any OB/GYN about what pregnant women can and cannot do, each is likely to use the same phrase: “everything in moderation.” An expectant mother CAN drink coffee…in moderation. She CAN drink wine…in moderation. She CAN exercise…in moderation. When it comes to hot tub use, a doctor is likely to tell you more or less the same— an expectant mother can use a hot tub, but with stipulations. Though hot tubs are great for relaxation and pain relief, they can be dangerous if you are not careful. Hot tubs can cause hyperthermia, which is an abnormally high body temperature and a condition that can cause serious pregnancy complications. You can avoid hyperthermia and other complications by taking thorough precautions before getting in a hot tub, which we will explain in detail in this article. We will also provide advice on how to lower your risks if you do ultimately decide a good soak is just what you need to make you and baby happy. Important Temperatures to Keep in Mind: How Hot is Too Hot? Generally speaking, hyperthermia occurs at 104.0 degrees Fahrenheit. However, according to the Organization of Teratology Information Specialists, a body temperature of 101.0 degrees is considered too high for expectant mothers and their fetuses, especially if it lasts for an extended period of time. Other sources, such as the American College of Obstetricians and Gynecologists, state that pregnant women should never let their core body temperatures rise above 102.2 degrees. The U.S. Consumer Product Safety Commission recommends an even lower hot tub temperature for pregnant women, at just 100.0 degrees. Though the specific temperatures vary, each of these organizations generally cautions against certain use of hot tubs while pregnant. According to the Consumer Product Safety Commission, the average hot tub temperature is 104.0 degrees Fahrenheit. For a healthy, full-grown adult, heat stroke can occur in a hot tub with a water temp of 106.0 degrees. For a newly developing fetus, damage can occur far before that temperature is reached. 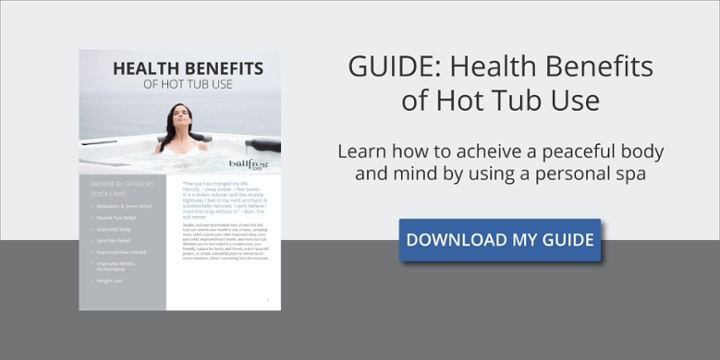 Hot tub guidelines vary and are dependent upon a person’s age, current state of health, and even outside temperatures, so it only makes sense that recommendations would vary based on at which stage of pregnancy a woman is at currently. If you wondering about getting in a hot tub pregnant, you need to consider how developed your fetus is. Studies mentioned in OTIS’s Hyperthermia and Pregnancy report look specifically at the effects prolonged exposure (more than 10 minutes) to high temperatures in the first seven weeks of pregnancy. Findings show that women under these conditions were at a higher risk of delivering babies with neural tube defects, which can lead to conditions known as spina bifida and anencephaly. While these studies typically reference fevers rather than a soak in a hot tub, you can understand where experts concerns and cautions come from when it comes to pregnancy and the hot tub question. The first trimester is generally characterized by nausea and morning sickness, but it isn’t until the second and third trimesters roll around that the physical (and possibly emotional) discomfort starts to set in. It is during this time that expectant mothers often yearn for the warm waters and soothing jets of a spa. The recommendation at this point is still: Proceed with caution. While the risks are certainly less than what they were during the first trimester, there are still health concerns to think about. Pregnant women, in general, are at greater risk for dehydration, low blood pressure, and dizziness, many of which are exacerbated by extreme heat. If you allow your core body temperature to rise too much, you may get dizzy, faint, and/or put yourself and baby at risk. It’s important at this stage to drink plenty of water, use handrails or ask for support, and be mindful of cues your body is giving you should you spend time in the hot tub. Can Hot Tubs Cause Miscarriage? Whereas research has been able to link hyperthermia due to fever to birth defects, studies have been less conclusive about the link to miscarriage. There was a 1985 study by Johns Hopkins University that suggested hyperthermia in the first trimester could be a risk factor tied to miscarriage. However, this was disputed by a larger-scale Danish study in 2002 that found no evidence of the link..
Every pregnancy is different–every woman different–and every child, born or unborn, different. For this reason, you should always listen to your doctor and adhere to the strict recommendations set out for expectant mothers. Adjust your hot tub’s temperature to no more than 100 degrees Fahrenheit, just to err on the side of caution. Keep a thermometer in the water at all times so you can monitor the temperature. Limit your soak time to just 10 minutes. If you begin to feel uncomfortable, hot, dizzy or faint, get out of the water. Also, get out if you begin to sweat. Avoid sitting in an inlet where newly heated water flows into the hot tub (ports are usually located within the spa’s seat and floor jets). If you dip just your feet in, allow them to soak for no more than 10 minutes. If your pregnancy is complicated, or if you have any chronic health conditions, avoid the hot tub altogether. If you simply need to relax but want to do so without worrying about the harm you may or may not cause your baby, you could just take a hot bath. Soaking in a hot bath is different from a hot tub in two key ways. First, when you sit in a bath, more of your body is out of the water (arms and knees), which means you will be less likely to overheat. Second, hot baths begin to cool the moment you turn off the faucet. After just 10 minutes in a hot bath, your water, in most cases, will be around 98.8 degrees or lower, which is a more than safe temp for you and baby. Hot tubs, on the other hand, continually cycle in hot water, meaning that the tub itself never gets a chance to cool. Avoid using a hot tub in the first trimester of pregnancy. Keep spa temperatures at or below 100 degrees Fahrenheit. Soak no more than 10 minutes at a time. Monitor the water’s temperature and your own body temperature during those 10 minutes. If you feel hot, begin to sweat, get dizzy, or demonstrate other signs of overheating, get out. Have something to add to the article? Tell us in the comments below. We love hearing from you. Like what you read? Be sure to share this article on Facebook, Twitter, and Pinterest.